The SnowCheck-Exclusive 850 Switchback® Assault® - powered by the all-new Polaris® 850 Patriot™ engine - is for aggressive backcountry riders that demand off-trail agility and on-trail confidence. IGX 144 REAR SUSPENSION: The IGX 144 rear suspension offers the ultimate blend of durability and strength. 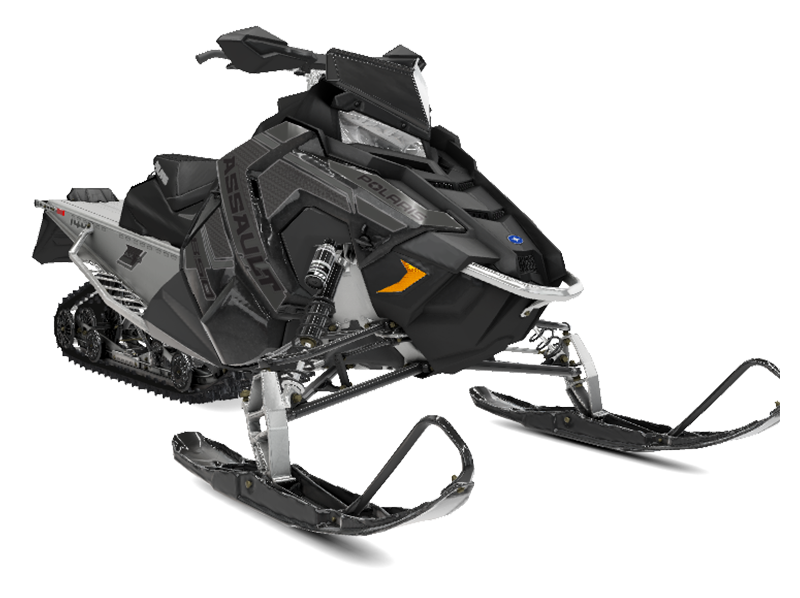 Pitch is controlled through geometry and with 43% more front torque arm travel, this sled features reduced bottoming and less drag off-trail. 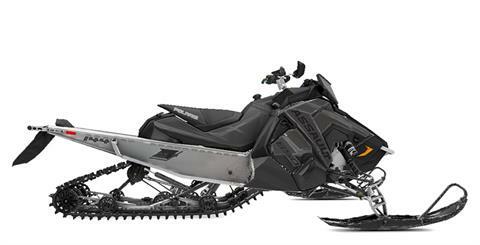 An optimized, lighter, reinforced tipped rail beam design gives the sled a nimble feel. POWDERTRAC® RUNNING BOARDS: The PowderTrac® Running Boards offer an optimized design with 56% open space for maximum snow clean out while maintaining extreme strength. Perfect for on- and off-trail riding. PROTAPER HANDLEBARS: ProTaper handlebars are aluminum and feature a flat design with integrated mountain hooks for ease in deep snow riding and aggressive cornering. PRO-STEER SKIS: PRO-STEER skis feature a reshaped keep and shortened skag for reduced steering effort. 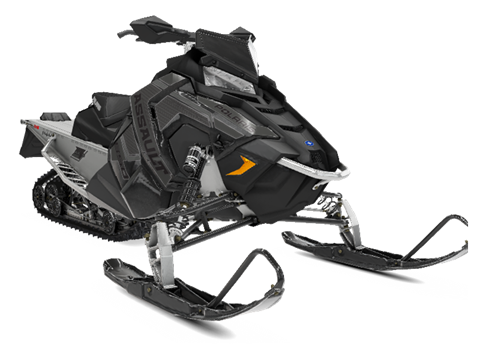 Redesigned ribs atop the ski increase stiffness for more precise steering plus bosses added atop the ribs provide traction to prevent slipping when a rider steps on the ski in deep snow. WALKER EVANS® NEEDLE SHOCKS: Premium shocks with compression adjusters and remote reservoirs offer the best in tunability and fade-proof performance. Unique needle design uses hydraulic force at the end of the stroke to eliminate harsh bottoming. INTEGRATED STORAGE: A weather-tight design seals out the snow and storage can be accessed through zipper and velcro enclosure that is covered by additional material and buckle down straps. 144 x 15 x 1.35 in.